Doors open to the public an hour before show time. The GrandWorks Foundationis a community-based, non-profit organization tasked with the revitalization, operation and maintenance of the Gloria Theatre in Urbana, Ohio. The Gloria Theatre is a 500 seat, multi-purpose entertainment, business and community center. No performing arts venue and event center can continue to exist without the loyal support of the community. The GrandWorks Foundation is extraordinarily lucky to have the faith of the generous companies, organizations and individuals that appear below. 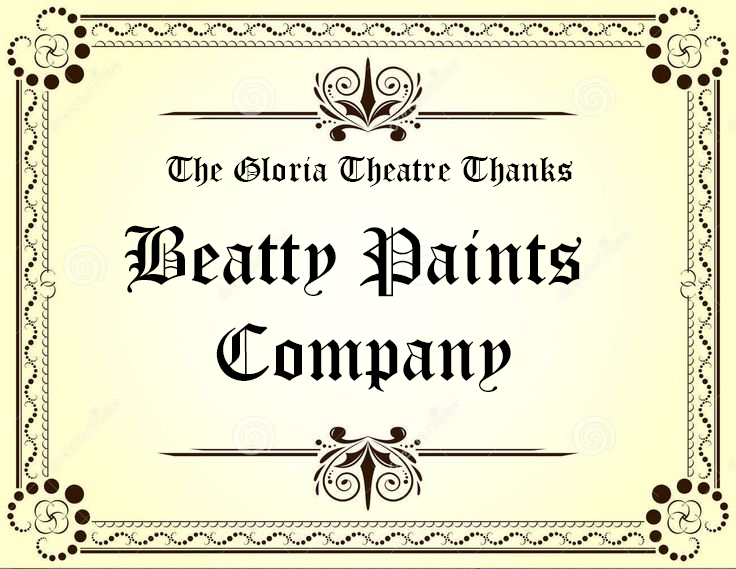 Please patronize these fine institutions and thank them for supporting your Gloria Theatre! Discover more about the GrandWorks organization and the big ideas to breathe new life into our community. We cannot do this alone! Make a difference by donating or volunteering. Only together can we make GrandWorks happen!